Company continues to redefine enterprise networking with integrated secure architecture, full event visibility and correlation, and advanced automation. 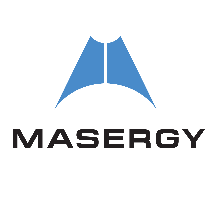 Masergy, a leading provider of managed enterprise solutions, introduces Secure Hybrid Networking, an evolution of the company’s award-winning network and security solutions. Masergy Secure Hybrid Networking lays the foundation for the next generation of digitally-enabled enterprises. Integrated security – built-in support for advanced network segmentation and a single secure premise device providing a unified security view across the entire global enterprise. Provides holistic and correlated visibility across both network and security domains. Simplicity and agility – fully managed, plug and play secure device pre-provisioned with all major functions and supported by centralized policy management. Enables rapid and secure direct connections to cloud providers. Lower costs – ability to combine public and private connectivity to optimize costs, enhance application performance, and ensure resiliency. Eliminates redundant network costs by utilizing virtualized network capabilities. Seamlessly integrated with Masergy’s comprehensive suite of fully managed detection and response (MDR) solution, clients can easily and cost-effectively add incremental MDR services including 24/7 continuous expert monitoring and incident response.